The 001-789 Unit Dose Pig is designed to reduce exposure from gamma emitting radiopharmaceuticals, such as the In-111 component of a Zevalin™ treatment. 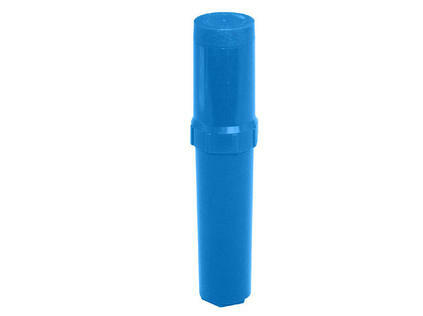 The barrel of the pig is constructed of .5" thick (1.3 cm) lead encased in durable Lexan. The pig accommodates a 10 cc B-D syringe filled to capacity. 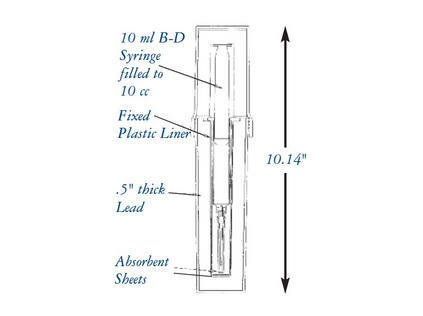 Accommodates 10 cc syringe with or without needle, filled to 10 cc.